The history of Hollywood and filmmaking comes alive in this spectacular nine hour celebration of movie magic. It's a mesmerizing, epic analysis that combines rare archival film, key scenes from immortal movies, interviews with leading filmmakers and commentary from noted film scholars and critics. 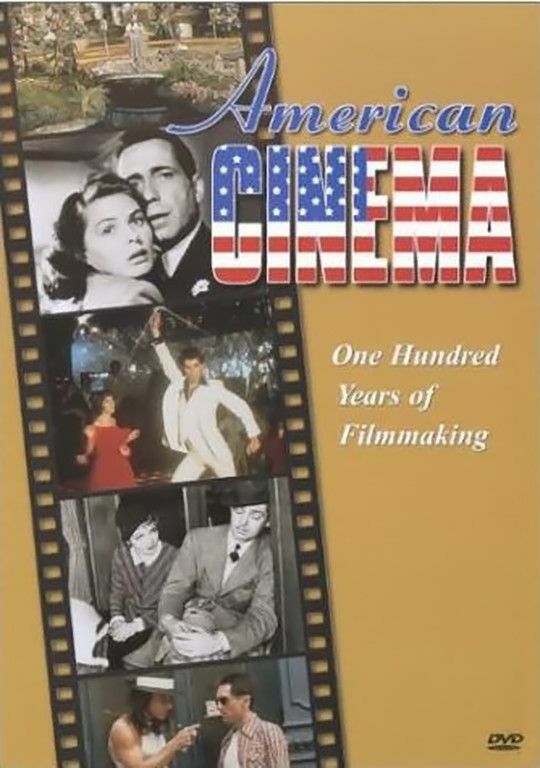 As seen on PBS, this highly acclaimed series is the definitive chronicle of the American cinema, from its beginning to today. Includes interviews with Robert Altman, Clint Eastwood, Harrison Ford, Spike Lee, George Lucas, Sidney Lumet, Julia Roberts, Martin Scorsese, Gene Siskel, Steven Spielberg, Oliver Stone, Quentin Tarantino, and many more. This program introduces the broad themes and stylistic conventions of classical Hollywood film, a combination of strong protagonists and story structure, with powerful emotional and technical effects. Early on, Hollywood saw that recognizable talent could minimize the financial risks of film production. In this program, Joan Crawford and Julia Roberts provide case studies of the cultural phenomenon of stardom. From Frank Capra’s It Happened One Night to such contemporary works as Pretty Woman, romantic comedies often mask keen social and psychological observations with breezy dialogue and ridiculous slapstick. This program explores the surface humor of such films, as well as their roots in questions of gender and sexuality. This program examines the genre of film noir—its roots in German Expressionism; its links to the Cold War, from nuclear threats to blacklisting; and the use of special lighting and camera angles to emphasize themes of corruption and urban decay. This program traces the history, aesthetic evolution, and sociological importance of one of American film’s most popular genres, from John Ford’s Stagecoach through the work of Arthur Penn, Sam Peckinpah, and Clint Eastwood. This program describes the evolution of the World War II combat film (including those produced under directives from the federal government); the rise of the Vietnam film; the influence off actual newsreel documentaries on a fiction film genre; and the ways in which the combat film has filled social and political needs. Using Paramount Pictures as a case study, this program probes the economics of mainstream filmmaking and surveys Hollywood’s past era of movie moguls and contract players and directors. This program explores the relationship between film and television, from the studios’ initial fear of television and the rise of the Hollywood spectacle film to today’s more integrated entertainment industry. In the 1960s and 1970s, a group of young mavericks—Francis Ford Coppola, Martin Scorsese, Steven Spielberg, and others—tried to revolutionize the way American films were made and appreciated. This program explores the financial and cultural forces that made their success possible; the influence of classical Hollywood genres and new technology on their work; and their continuing evolution as idiosyncratic filmmakers with commercial clout. Contemporary American independent cinema provides a forum for dissenting, unconventional filmmakers, many of whom are from minority communities. This program looks at the work of Spike Lee, Joel and Ethan Coen, Jim Jarmusch, Quentin Tarrantino, and others and how limited budgets can often encourage innovation and experimentation.